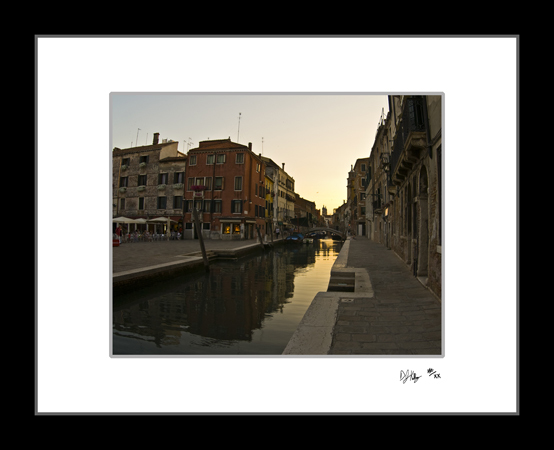 This fine art print of the sun setting on a small piazza in Venice, Italy. The city of water is filled with bridges that cross the canals. This photograph captures one of the many small piazzas with no cars throughout the city. Sunset in Venice, Italy is a time when the colors of the buildings reflecting off the water gives the city a wonderful look.